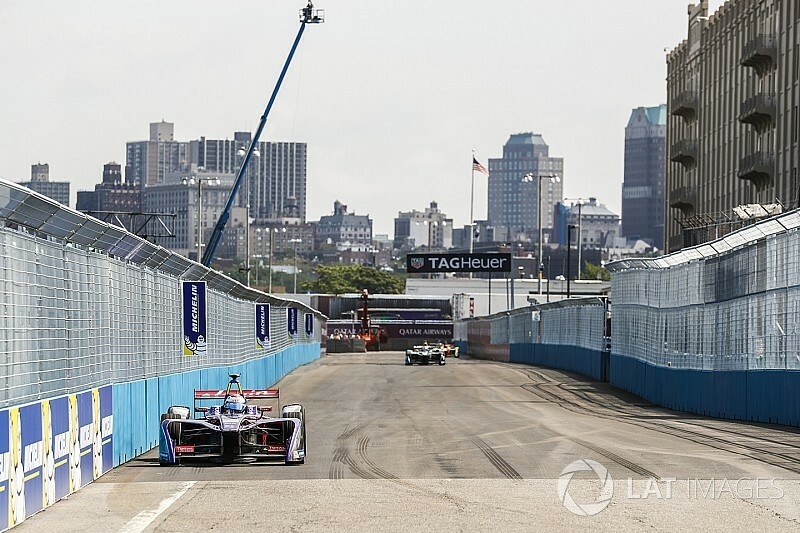 Sam Bird claimed his first Formula E victory in more than a year in a frenzied opening race for the series' first-ever New York City double-header. 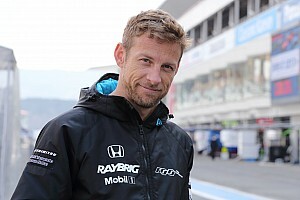 The British driver survived a two-lap shootout caused by a late safety car to beat Jean-Eric Vergne to the win by 1.3 seconds. 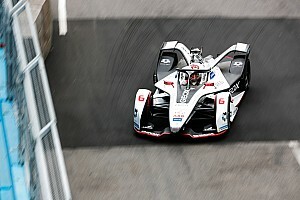 Stephane Sarrazin scored his first podium of the season in third, while teammate Lucas di Grassi rose to fourth to cut the absent Sebastien Buemi’s championship lead to 20 points. Abt led the opening stanza, beating pole-sitting debutant Alex Lynn off the line as Bird got the jump on Vergne into Turn 1 to run behind new teammate Lynn. Bird gradually grew frustrated at the rookie’s “overdefending” and was eventually allowed past on lap nine of 43, then swiftly started to attack Abt. Half a dozen laps later he wrested the lead from the Audi driver with an aggressive dive down the inside at Turn 1. 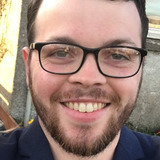 Lynn was in no position to join Bird’s offense, and gradually slipped back behind Nick Heidfeld, Vergne, the charging Stephane Sarrazin and di Grassi. 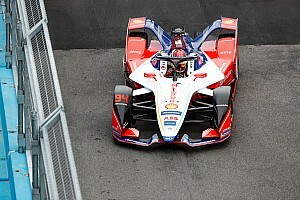 Vergne got ahead of Abt for second at the end of the opening stint, and Bird retained his lead during the mid-race car swaps, pitting a lap after Lynn and a lap before Abt as slight variations on strategy briefly split the lead pack. When it converged again Heidfeld was the big loser, dropping to eighth, while his team-mate Felix Rosenqvist leapt to sixth to continue his remarkable rise from 17th. Lynn’s early stop meant he retained fifth but he retired soon after with a suspected driveshaft failure. The lead group then stabilised with Bird leading Vergne, Abt and Sarrazin, and attention swiftly turned to di Grassi attacking Rosenqvist for fifth. He claimed the place when the Swede locked up and spun rearwards into the barrier at the exit of Turn 2. Rosenqvist rejoined, but a broken rear wing forced him to pit for a replacement and Mahindra was swiftly dealt a double blow as Heidfeld retired with a broken right-rear after appearing to clip an inside kerb too hard. 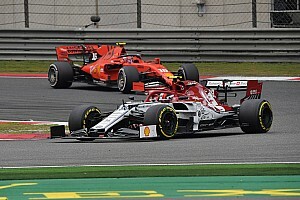 He stopped on track and caused a safety car with five laps remaining, sparking the two-lap shootout, which Bird handled with ease to win for the first time since Buenos Aires last season. 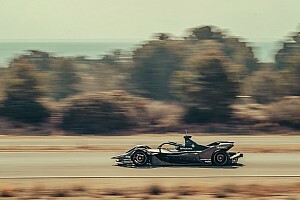 Abt threw away the final podium place at the first corner on the final lap, promoting Sarrazin to third and gifting the Techeetah team a double podium. As Abt tried to rejoin, he almost collected teammate di Grassi and then a problem meant he did not make the flag. That handed Loic Duval a shock fifth for Faraday Future Dragon Racing, whose home race looked to have unravelled when Jerome d’Ambrosio had to pit with nose damage early on while running in the points. Oliver Turvey claimed a quiet sixth, while Buemi’s Renault e.dams replacement Pierre Gasly rose from 19th on the grid to seventh to score points on his debut ahead of teammate Nico Prost. A last-lap problem for Tom Dillmann dropped the Venturi driver out of ninth, promoted Robin Frijns (Andretti) and Adam Carroll (Jaguar) to rare points finishes.